CPL 2016 Final Match GAW vs JT Live Score Streaming Prediction Highlights 7th August :- The Hero Carribean Premier League has reached the finale and the two teams who will face each other for the final match is Jamaica Tallawahs and Guyana Amazon Warrior. These both team managed to claim the spot in the final week, after 1 month of solid competition between the 8 teams. And, now both these team will tussle in a battle to claim the trophy of the fourth edition of CPL. Meanwhile, Jamaica Tallawahs and Guyana Amazon Warrior will face each other on August 7, 2016, at the Warner Park, St Kitts. The heavy loaded Jamaica side is one of the best team in this tournament and they deserve to be in the final. Meanwhile, this team must thank the heroics of Andre Russel, who blasted his maiden t20 century in the last game and took his side in the finale. Russel, not only scored a century but also claimed 2 wickets in the second innings and was correctly adjudged man of the match. The captain of this team is Chris Gayle and he needs to fire in the final if he wants his team to cross the line and become the champion for the second time after the gap of 3 long years. Meanwhile, there is a bit of concern for this team as apart from Chris Gayle and Andre Russel, other big names like Kumar Sangakkara and Shakib Al Hasan failed to create impact and they need to support Russel and Gayle. The bowling department of this team relies on Kesrick Williams, Andre Russel, Shakib Al Hasan and Imad Wasim. All these names need to bowl with more discipline to contain their opponent Guyana amazon Warrior in the finale. Jamaica Tallawahs need all round performance from their all big guns and a really hard effort is required to beat Guyana team in Final. Chris Gayle (c), Chadwick Walton, Kumar Sangakkara (wk), Rovman Powell, Shakib Al Hasan, Andre Russell, Imad Wasim, Jonathan Foo, Oshane Thomas, Kesrick Williams, Garey Mathurin. The another deserve team reached the final and this is the beauty of t20 Cricket. The best will face the best in the final of the fourth edition of CPL. Earlier, Guyana Amazon Warrior was led by Martin Guptill, but in the middle of tournament he has to leave this tournament because of national duties and the, experienced Rayad Emrit handed over the captaincy of this team and he really led this team well. 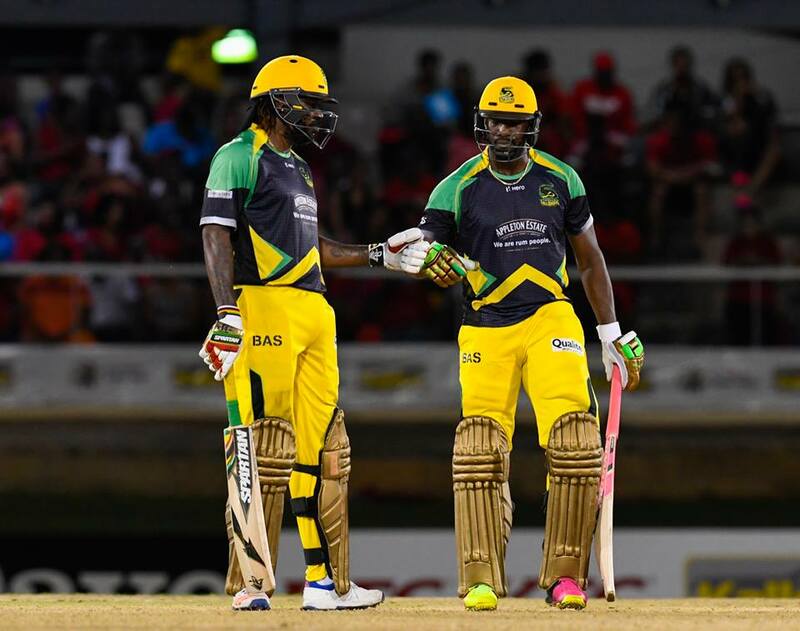 This team entered the final on the back of a solid win in the first playoff against the Jamaica Tallawahs. And, now they will look to repeat and thrass Jamiaca Tallawahs like theyd id in the first playoff match. Meanhwile, the x-factr for this team is Chris Lynn and what a tournament he has. Lynn has smashed 447 runs at the strike rate of 133. The another names who has performed for this team is Pakistani Internationakl player Sohail Tanvir. The fast bowler has been the consistent performer for Warriors since from the very first match. Meanhwile, the other names like Dwayne Smith, Adam Zampa and Nic Maddinson needs to fire, if thye wnat to win the trophy of the fourth edition of Carribean Premeire League. Dwayne Smith, Nic Maddinson, Chris Lynn, Jason Mohammad, Anthony Bramble (wk), Chris Bramble, Sohail Tanvir, Rayad Emrit (c), Veerasammy Permaul, Steven Jacobs, Adam Zampa. Jamaica Tallawahs is expected to win this match.